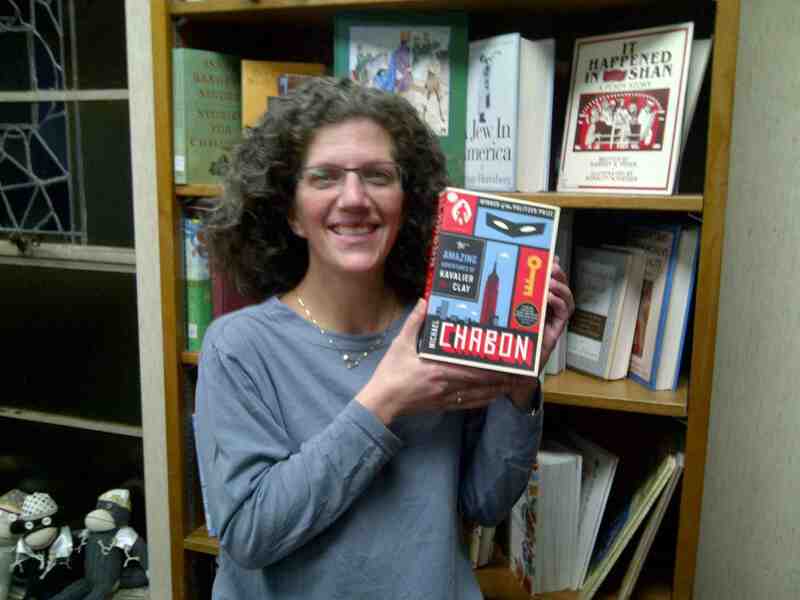 While browsing in our Temple Library I came across Michael Chabon’s novel The Amazing Adventures of Kavalier & Clay. This is the story of two Jewish cousins navigating their lives in the shadow of 1939 world politics. The novel is unique, exciting and beautiful. I highly recommend putting this book on your 2013 ‘must-read-list’. I am thrilled to confirm that the Temple Anshe Sholom library has a copy — go in, check it out and meet my Mitzvah Monkey friends! Come in and check out a book.